Selenizza is a naturally occurring, non-toxic, non-hazardous mineral which displays remarkable properties as a fluid-loss control agent for use in oil-based drilling fluids. It provides shale stabilization superior to other additives and also functions as a malleable plugging agent that effectively seals off permeable zones as they are drilled, even when drilling at a highly overbalanced pressure differential. Selenizza®ONAT also is an excellent shale stabilization agent for use in water-based drilling fluids. When pre-treated with a surfactant to enhance dispersion, Selenizza®ONAT provides the same benefits in water-based fluids as it does in oil-based fluids — fluid loss control, shale stabilization and lost circulation prevention. Due to its high softening points, >300°C, Selenizza®ONAT is especially effective in drilling fluids used in high temperature environments. 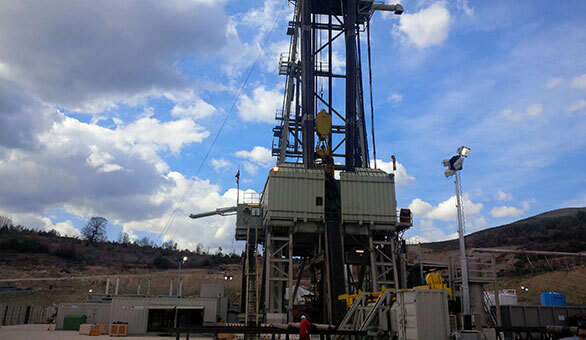 Selenizza®ONAT provides excellent fluid-loss control and shale stabilization even at these elevated bottomhole temperatures. A properly designed cementing process is critical to keeping the wellbore isolated, protected and environmentally sound. During cementing operations, density control, mud removal and compressive strength are critical to effectively cementing the casing, isolating hydrocarbon formations and preventing annular gas flow. With its low specific gravity and bonding characteristics, Selenizza®ONAT helps maintain compressive strength—making it superior to hazardous additives such as coal or fly ash. Please download our brochure and our technical data sheet for more informations. Access data sheets, certificates of conformity and safety sheets of Selenizza®.